As a business you could engage a reliable and loyal individual desperate to work for you and who will give their all for the opportunity to get a foot on the employment ladder and who is looking for the chance to prove themselves. In addition, you will be doing your bit to improve social mobility, social awareness, help to address individual dependency, reduce homelessness and poverty in the city, whilst enhancing your own Corporate Social Responsibility. 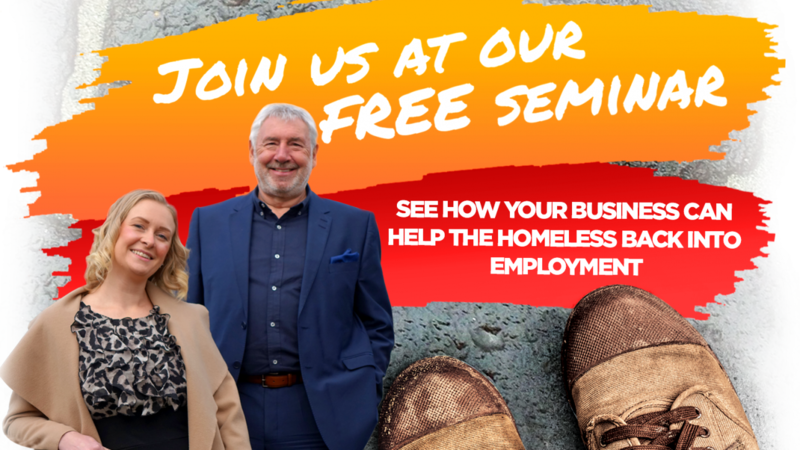 The Howarth Foundation is to host a seminar/workshop on 14th March 2018 at the Gary Speed Suite, East Stand, Elland Road Leeds between 1000hrs and 1600hrs (lunch and parking included) exclusively for businesses in the Leeds area intended to provide a true picture of homelessness in the city and to demonstrate how your business can help to profit your organisation and the local economy. CGL is the city’s street outreach service who carry out street sweeps to find rough sleepers and get them off the streets. St Anne’s Resource Centre who provide a daily drop in centre. Leeds Housing Options is the principal Council service offering housing advice to people who are homeless/threatened with homelessness. St. Georges Crypt who offer beds, a rehabilitation programme and supported housing for the homeless. John, a 9 years ‘clean’ addict who will tell you his moving story of addiction and homelessness. The Howarth Foundation outlining their Business Building Futures initiative. A member of our Business Building Futures programme who has recently employed one of our clients who has a history of long term homelessness and addiction. During the afternoon you will have the opportunity to discuss the issues and question the speakers and trustees of The Howarth Foundation and learn how you can benefit from supporting our Street2Feet and Business Building Futures projects.